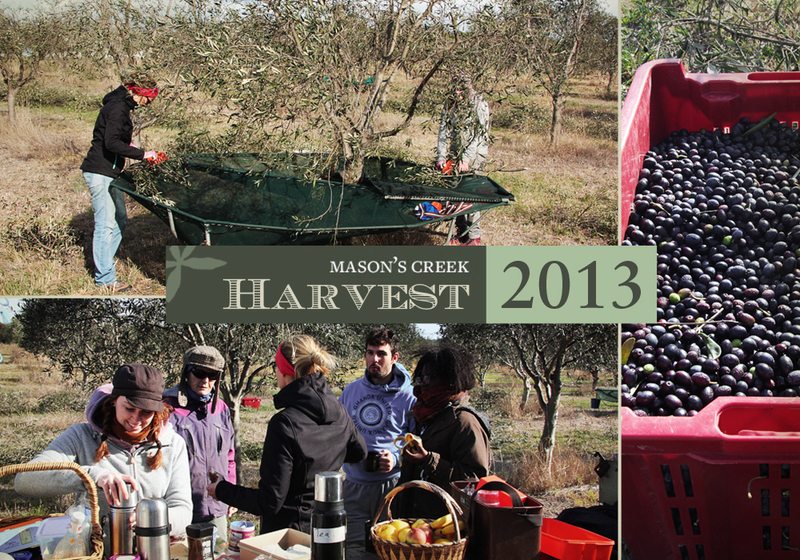 We have had a fantastic harvest this year – one of the best in years. It is great reward for the work that we’ve all put in over the last year or two and it’s fantastic to see the trees responding so well. The trees look wonderfully healthy and – most importantly! – the oil is absolutely stunning. The little guy in the above photo was living in the grass beneath the grove. He’s a Growling Grass Frog. These shy creatures are endangered, but are abundant across the farm. We currently have the fresh Manzanillo oil for sale and we’ll be harvesting and pressing the Frantoio / Corregiola in the next week. We hope you all enjoy the oil as much as we do! Mason’s Creek joins the Square community! As we look to make our customers’ experience as easy and enjoyable as possible, Mason’s Creek has been part of the roll-out of Square’s point of sale solution. We’ve been delighted with how much better it has made things for both the customer and ourselves – look for us at our next market to see for yourselves and see the article below on how it’s helping improve Mason’s Creek! We are very excited to announce that we will be setting up a stall at Fatto Restaurant in Southbank as part of the Melbourne Food and Wine Festival. We will be there on Friday 4th March from 5pm with all our products – including our new table olives! We hope to see you there. We are very happy to announce that we have once again received awards at the 2015 Royal Melbourne Show. This year our more delicate Frantoio-Corriogola oil won a silver medal and our robust, peppery Manzanillo won a bronze medal. 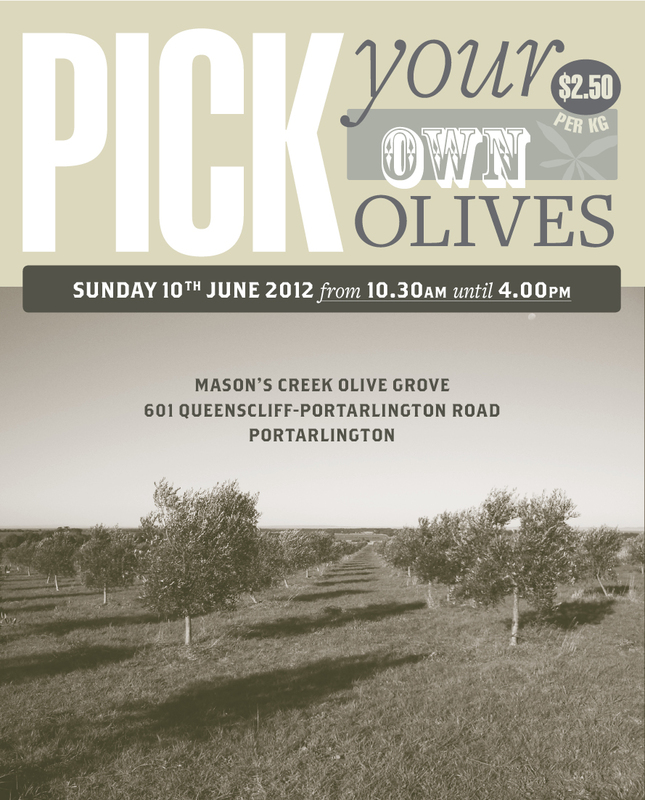 We are also pleased to announce that we have started selling a new product and Mason’s Creek Table Olives are now available! Please contact us for more information. We’re delighted that our Manzanillo oil won a gold medal at the 2013 Royal Melbourne Fine Food Awards. Our Frantoio and Correggiola oil had success too and picked up a silver medal. We almost finished harvesting our Manzanillo, Corregiola and Frantoio trees. A big thanks to everyone who helped us out!! The first fruit has been pressed – the oil tastes lovely and is ready for sale! Some more photos of the harvest coming soon. The midst of harvest is that one time of the year when you can taste the oil straight from the press! We are bottling a special batch for Fresh Extra Virgin Olive Oil lovers before the harvesting season is even over. Handpicked one day, pressed early the next morning: don’t miss this once-in-a-year opportunity!